Sunlight coming through french doors to deck. Spacious and cozy living room. Flat screen TV, WiFi. Front entry with coat closet, washer available in basement. 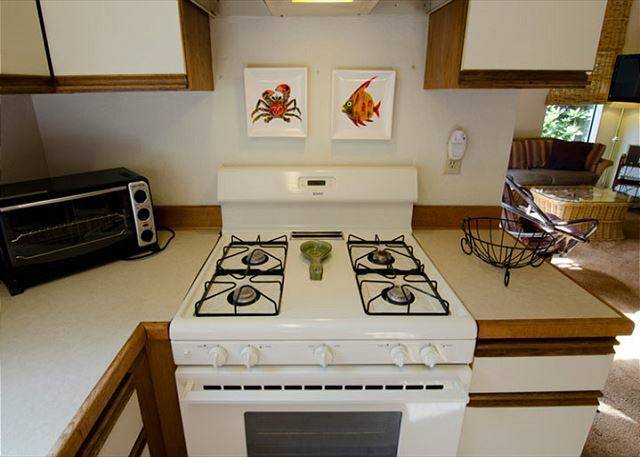 Full kitchen, including dishwasher, coffee maker, fridge, and 4 burner stove with oven. All cookware and dishes provided for you, of course. Comfortable queen bedroom with tv. 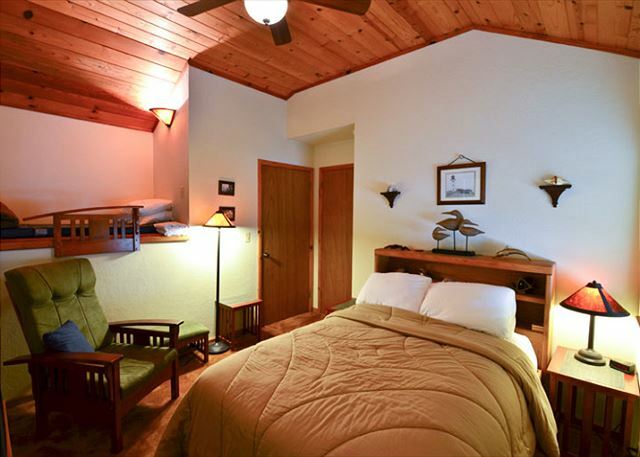 Second bedroom with full bed and loft twin bed and tv. 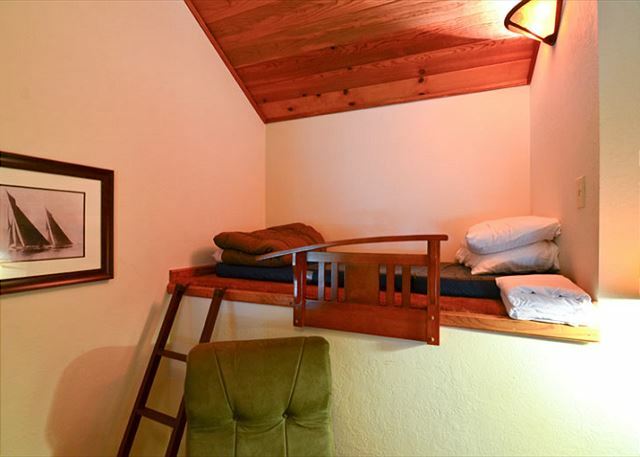 Loft twin bed in second bedroom. Living room opens up to nice upper level deck. 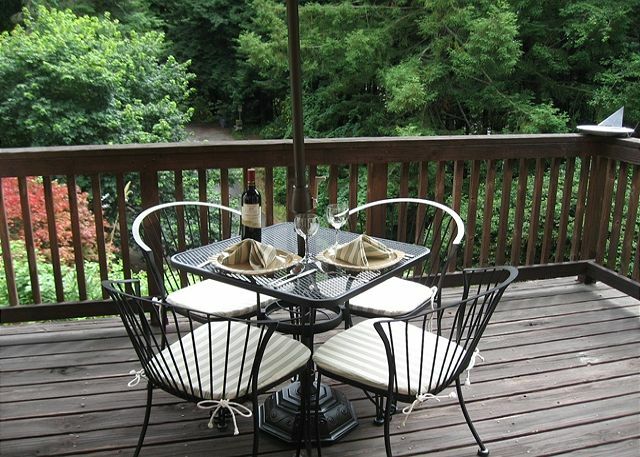 Upper level rental with forest views from deck. Stay and enjoy the Redwood Coast at Arcata’s University Townhouse. This Pleasant 2 bedroom upstairs townhome is conveniently located just behind HSU. 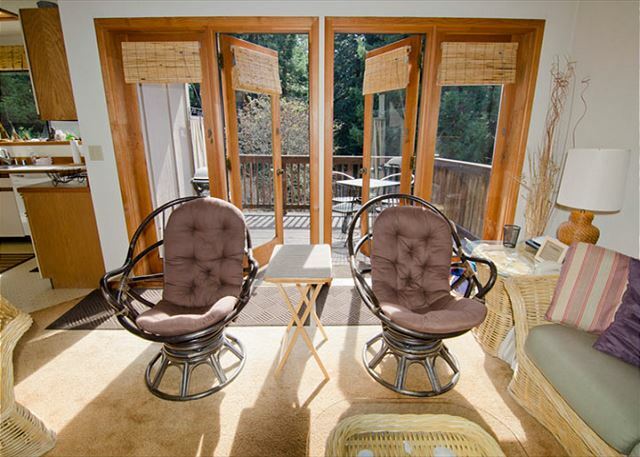 It’s comfortably furnished, quiet and has a private deck with sitting area, BBQ and view of the Redwood Coast. Sleeps 4, 3 Night Min only, thank you! Arcata Townhouse has all the necessary essentials and a very pleasant feel. The kitchen is well appointed and opens to the dining and living area. The living area fresh and relaxing with vaulted ceilings, a decorative fireplace and French doors leading to the private deck. There are two spacious bedrooms. One with a queen and the other with on full size bed. Whether you’re a professional working in the area, a parent of an HSU student, or just exploring Humboldt County, you will love the convenience of walking to the campus, the Community Forest trailhead, or town, then return to your clean and quiet space. The University clock tower bells can be heard in the distance to give you that collegiate feel. Drive (or ride your bike) to nearby beaches, hiking trails, parks, fishing and much, much more. We do have a long-term tenant living in the rental below so your quiet hours observation is required. For longer stays of 30 nights or more, we will be charge double the cleaning fee. If it is not automatically added in your booking, we will add the charge for you. We do this because we come in mid-stay and change your linens and do some light cleaning! A longer stay may have more required cleanings. Geographic In Town, Community Redwood Forest, Close to Humboldt State Univ. The property has a spacious living room and kitchen. Very convenient for a family vacation. Good starting point for trips to Redwood forests, hiking trails and ocean viewpoints. 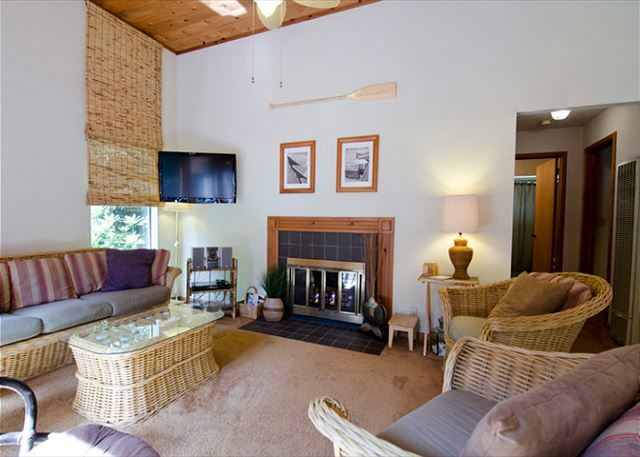 Happy to hear you enjoyed Arcata Townhouse, please look us up at Redwood Coast Vacation Rentals when planning your next trip to the North Coast, with over 100+ properties, there is something for everyone! Thank you for choosing Redwood Coast Vacation Rentals. 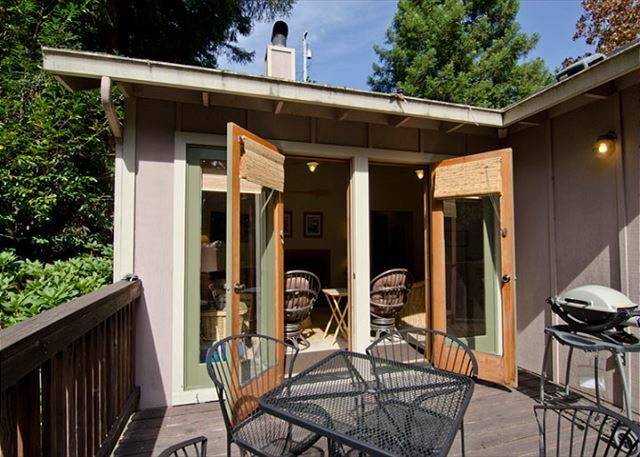 Arcata Townhouse is a nice spot for any HSU parents or staff as it's in walking distance. Vacationers have a central location for beaches and Redwood parks. Hope we can host again! The two bedroom unit was convenient and worked out well. Great! Hope we can host again at this great location near HSU and Redwood parks. Thank you for choosing Redwood Coast Vacation Rentals. 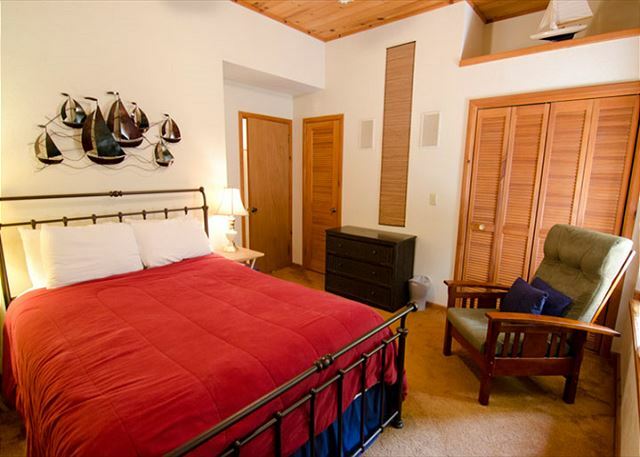 We have over 100 vacation homes in the area for you vacation needs! The townhouse is a beautiful place to stay.This rental is a gorgeous home with everything you need to feel at home. Lots of new upgrades since our last stay. Not that you have time for WiFi and cable because there is so much to do up there. We fished, hiked, and attended the annual Oyster festival. Great restaurants close by too. Retrun guests are the best. See you next time and thanks for the great review. Upgrades? Yes! We have new blinds, newly upholstered furniture, and an electric fireplace insert for nice ambient evenings. We've stayed in dozens and dozens of airbnb's and we also did 26 home exchanges, we have experience with vacation places. This townhouse was simply very well managed. It's clean, well decorated, solid kitchen, both beds were quiet comfortable. There are downstairs neighbors who were helpful and quiet. Everything worked that needed to. We found the whole space enjoyable. The house is built into a hillside, the driveway is short and steep and it isn't a great place to walk but the house itself works well. Thanks for this great review! 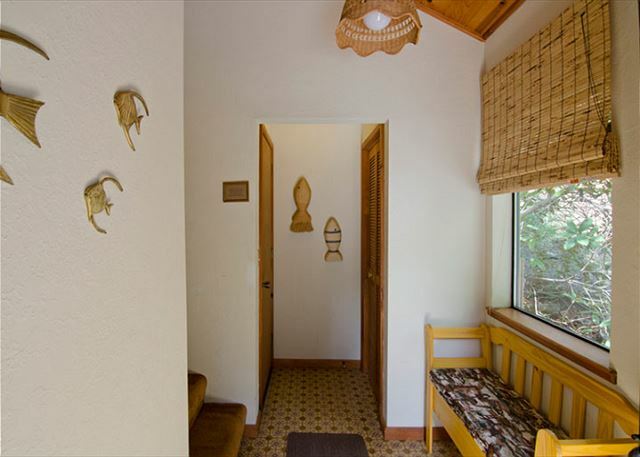 Redwood Coast Vacation Rentals welcomes you back to Arcata Townhouse or any other of our 100+ vacation homes! any questions or needed anything. Thanks, Gloria! It was a pleasure hosting you! Thank you for choosing Redwood Coast Vacation Rentals. Location was nice for student to come back and forth. Thanks, Sandra! Hope we can host you again while visiting your HSU student! Thank you! Hope we can host again with Redwood Coast Vacation Rentals! We had 4 people stay here and it was a really comfortable place with a great kitchen. They had some complimentary coffee and some cookies for us. THe kitchen had all pots and pans, baking things, toaster, microwave and everything. We would definitely come back again. Thank you so much for this great review letting us know you were happy with the rental~ Memories are made with Redwood Coast Vacation Rentals! As you can see by previous comments, the driveway is very steep and skinny. The parking is limited and our small car just fit. If you have another vehicle, it will have to be parked out on the street. Terrace street is closed off just after the townhouse but there is very little space to park. Chairs were more comfortable then I thought they would be and the beds were very comfortable. The bedrooms had blinds and curtains so you could sleep in. Great water pressure in the shower and loved the movable shower head on a hose. Internet was excellent and the unit has cable TV with lots of shows to watch. Neighbor below and next door were quiet but the unit was not constructed to be separate so you can hear the downstairs neighbor. Kitchen is well equipped – only lacking a collander and large saucepan. A couple of miles down California Street is an entrance to the Arcata Community Forest. The trails very pretty but also very hilly. We liked Murphy's Market for grocery's. Enjoyed our stay here. Thanks for this great review! Wish we could fix the parking but the lay out forbids. The home is comfortable just as you described and I have added the two kitchen items to my shopping list, Hope we can host again! Gorgeous, comfortable home ... very clean and well kept. Perfect location to visit family in McKinleyville & see sites in Eureka. Thanks, Lori! Thank you for choosing Redwood Coast Vacation Rentals and hope we can host again in the future! Thanks for having such a great stay with us at the Arcata Townhouse. 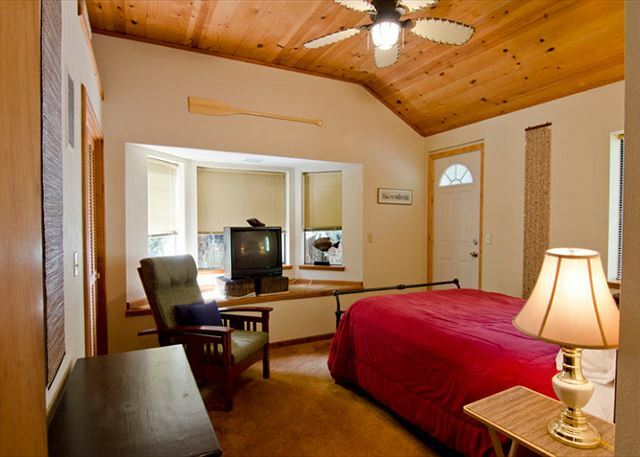 We hope you will choose Redwood Coast Vacation Rentals your next trip to Arcata! This was our home base for a family vacation to the Redwoods. Townhome was clean, nicely decorated. It's located in a very quiet neighborhood. The kitchen is well stocked for cooking, although we didn't do meals there, except for breakfast. Everything worked fine. We had no issues to call management about while there. The only complaint from our end is that the bed in the master room was is a bit too soft and starting to cave toward the center. Probably time to replace it. We are so glad you had a nice time. We will certainly look into the bed and check the mattress and the frame. We hope you can come again and enjoy Arcata with Redwood Coast Vacation Rentals and our beaches and redwood forests! Thanks, Michael. Quiet and peaceful up here in Arcata. Please come visit us again! We had an amazing time. The location is breathtaking and the town home was "home away from home." It was equipped with everything we needed and more. I plan to make this my yearly home when visiting my granddaughter who is attending HSU. Thank you for making our stay so memorable! Thank you, Mercedes! We will certainly make sure you will continue to be comfortable at our Townhouse. thank you for choosing Redwood Coast Vacation Rentals! The home was clean and arranged well. Nice view of the trees from almost every window. As I was in town on business, it would have been helpful to have an ironing board and hair dryer available. 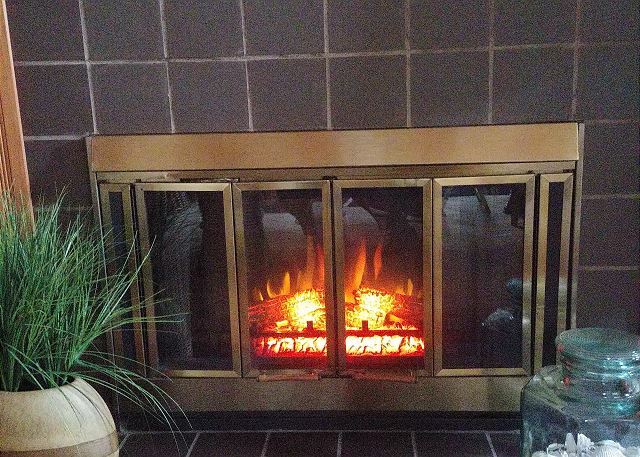 I was sorry that the fireplace couldn't be used. Hi Diane! Thanks for the feedback! I needed to double check your comments and want you to know that there is an iron/ironing board at the house and it is located in the closet in the second bedroom and the hair dryer was on the shelf with the linens behind the bath towels. We will make these items more visible to all the guests for future use. Thank you and hope to see you again! This is the only way to go. The condo was clean, roomy, had everything we needed and was a great price. I've stayed in a couple of the local hotels and they are lousy and dirty and still $125 a night. This is beautiful and a bargain. Thanks, James! We aim for comfort and cleanliness! Gald you found both and hope you come again next time visiting. We get A lot of HSU parents at this Arcata Townhouse. We had a joyful and relaxing time. Thanks, Brent! Glad to have you back with us in Arcata. Thanks for choosing Redwood Coast Vacation Rentals! See you next time! I rented this townhouse for a girl's weekend to visit a family member at HSU. It was absolutely perfect! If as a child you used to vacation in cozy, throwback cabins and lake houses you will flip over this place. It was perfectly decorated, had everything we needed to cook at night and was close to everything. It very comfortably houses and sleeps 5 people and could sleep 6 (there were only 5 of us on the trip). I actually slept on the bunk and it was surprisingly comfortable. I slept like a baby, that could also be due to the clean air. I highly recommend the farmers market on Saturday. For the price you cannot beat this place! We love the townhouse, too! Thank you for loving it and telling us how much you loved it too. Sounds like a walk down memory lane occured during your stay! Please, please come again! We welcome you back anytime! Stayed at this property for two nights whilst travelling the west coast of USA. The property was fully equipped and very clean. A great place to chill out, and a respite from hotel rooms. We used the BBQ but unfortunately could not enjoy sitting out on the balcony because of the dull cloudy weather, even though there were blankets supplied for outside use. The master bedroom was very comfortable, and spacious. 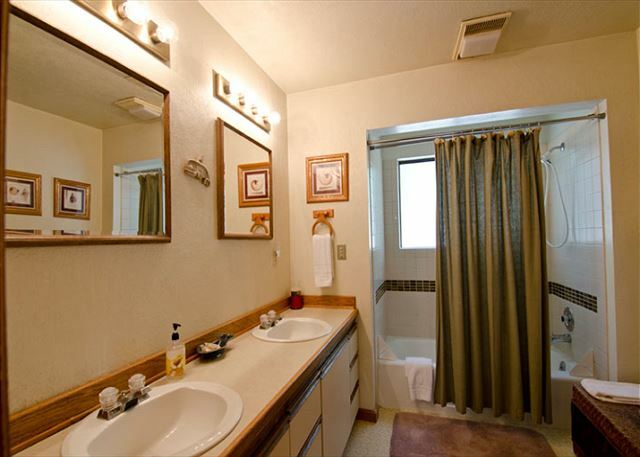 The bathroom was supplied with plenty of towels and again spacious and clean. Good TV in living and bedrooms and wifi, if needed. The interior of the property is homely but not modern. It is described as a townhouse but perhaps in the description it should be explained that lower lever is a garage and another small apartment/studio. It is in a wooded area as described and the road leading to the property is narrow due parked cars. We enjoyed relaxing at Arcata in the evenings and thank you for a prompt return of our bond. Thanks for the great feedback! We do have a lot of narrow roads in our community, something we can't help but they are still great ways to travel. Glad you found the Townhouse homey and comfortable. We get a lot of great feedback for this place. 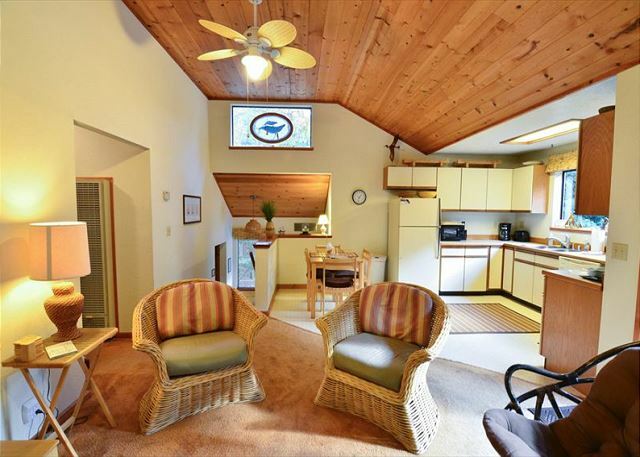 Redwood Coast Vacation Rentals has over 70 properties. Something for everyone! Thanks, Shane! We expect you again to the Arcata Townhouse or any of our 70+ properties throughout Humboldt! We have something for everyone! The property was exactly as described. It was clean and comfortable, and very close to the campus. Thanks, Julie! A very popular property for visiting parents and staff of HSU. Hope to see you again! The Arcata Townhouse was just perfect for our needs. Everything worked and the kitchen was very user friendly. Comfy beds and the deck had a nice view looking into some redwood trees! Glad you had a nice time! 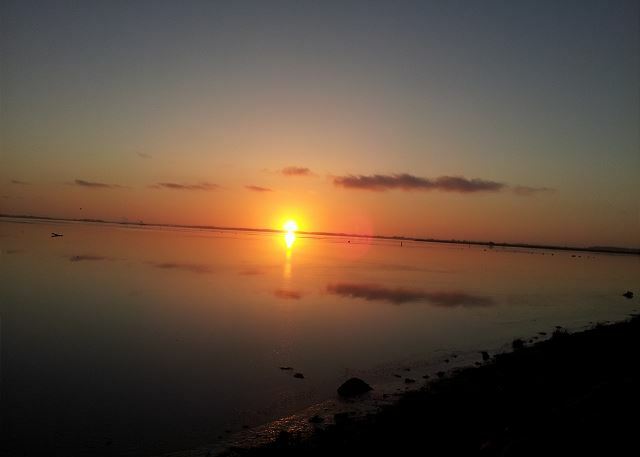 Please visit us again at Redwood Coast Vacation Rentals and 60 + properties! The townhouse had a perfect location for visiting Humboldt State University. Very close to campus, a 3 minute walk on a path through the redwood, or a 3 minute drive if you prefer taking your car. The feel of the place was a bit "old", with a few items broken, and a smell of old house. It was clean and convenient for us, however, and we will hopefully rent again when we visit our daughter at HSU next time. Congratulations of you HSU student! Please come and stay at the Arcata Townhouse again when you come to visit! 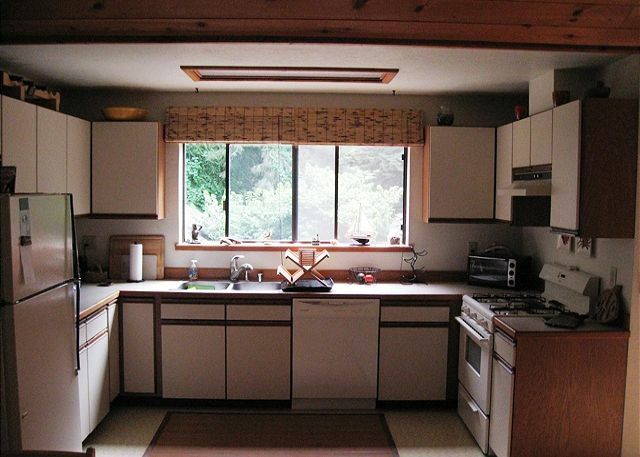 The home is in the Redwood forest which can emit an older musty smell. I will also look for the broken items and replace! This was our second stay at the Arcata Townhouse and we (four of us) thoroughly enjoyed our stay once again. The townhouse was immaculate and has everything we needed for a great Oyster Fest Week-End. Thanks for returning to Arcata for the Oyster Fest and staying with us! On Sunday, the day after the Oyster Fest, we also enjoy the Fish Fest in Trinidad. Plan on staying an extra day next year and do both! Comfortable, cozy townhouse in quiet neighborhood surrounded by trees. If you have a car, everything is easily accessible. On foot or bike might be more difficult due to hilly neighborhood. 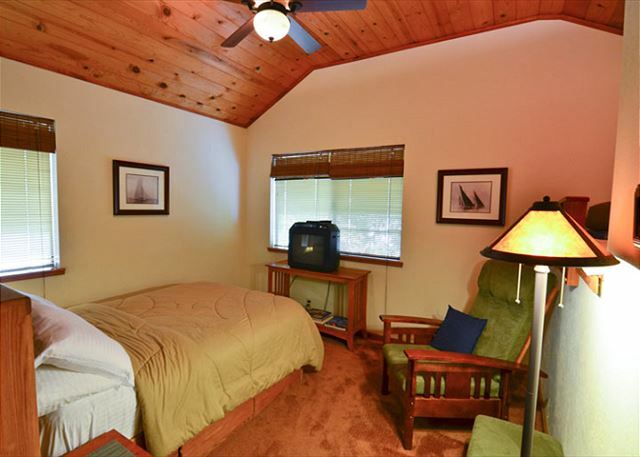 Overall a great place with everything one needs to have a comfortable stay. We are pleased that you like our Townhouse and you are correct about the hill unless you have some well muscled legs to propel you up California Street! Regardless of that the Townhouse is ideally located for both exploring to the north and to the south all the rivers, beaches, and redwood forests in both directions. Please come see us again at the Arcata Townhouse with Redwood Coast Vacation Rentals or one of our 50 other properties throughout Humboldt county! The Arcata Townhouse was a perfect home away from home. 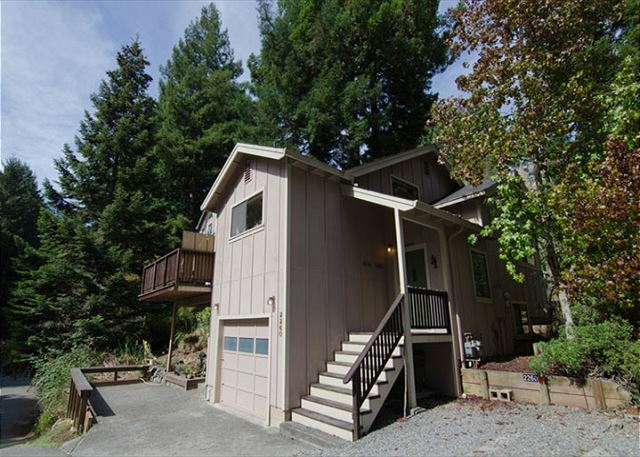 Nicely located for quick drives to beautiful beaches and amazing redwoods. We could take evening walks around the neighborhood and in the community forest out the front door. The amenities where more than we expected, nicely furnished. They thought of everything we needed for the whole stay. Well stocked kitchen and even a bbq on the patio. Super clean and comfortable for our family. Finally we really enjoyed the basket of books and materials for the sights of the area. Thanks and we'll be back! Sounds like the perfect match between what the Arcata Townhouse and the area had to offer and what you wanted to do... Hope to have you back with us at Redwood Coast Vacation Rentals with 50 homes from Eureka to Crescent City and Willow Creek, including Trinidad, Orick and the Redwood National Park. We were visiting our son who is in his 4th year at HSU. We've stayed at many area hotels only to be disappointed. I wish someone whould have told me about this rental service when my son was a Freshman. The townhouse was roomy, comfortable and clean with everything we needed in the kitchen to prepare meals. It was so much better than booking a hotel because we had privacy and space. 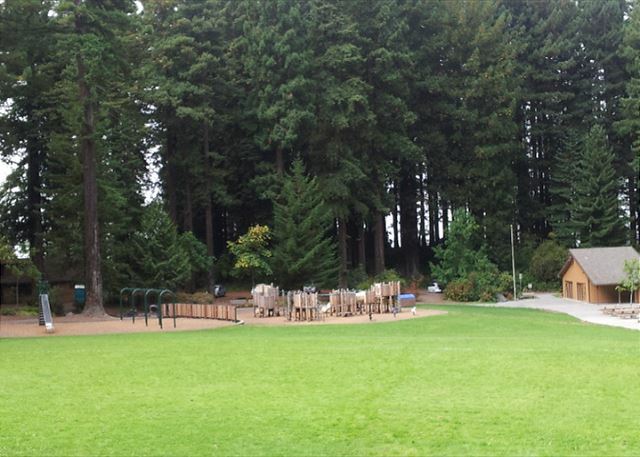 We liked being close to the Arcata Redwood Park where we hiked and played disc golf. We'd highly recommend this place to others. Nice to hear that you took advantage of the many things the area has to offer and enjoyed the Arcata Townhouse managed by Redwood Coast Vacation Rentals and hope to have you back here or one of our other 40 plus properties in the area. Great location, well appointed , neat and clean, we had a wonderful weekend. 1. The cleaning staff should check the dishwasher for cleanliness, it was dirty with food particles when we arrived. 2. Use cotton sheets rather than flannel. Really glad you enjoyed the Arcata Townhouse managed by Redwood Coast Vacation Rentals and hope to have you back. Will definitely remind cleaners about need to always check dishwasher and will look at cotton sheets as well - helpful suggestions. Hope to see you back here or at one of our other 40 plus vacation homes in Arcata, Trinidad, Eureka, Redwood National Park & now even Crescent City! This place was really great. Definitely as described plus some. 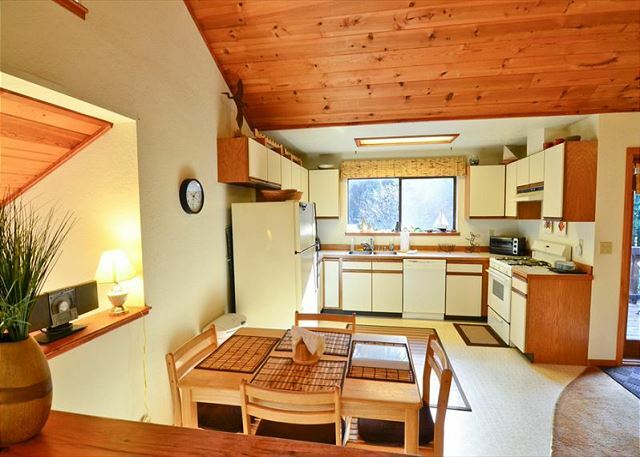 Lots of little amenities, full kitchen with every utensil and appliance I could want, very clean, very comfortable for me and my 2 teenage sons, and in a beautiful, quiet location. Yet walkable to Humboldt State and the small downtown area. 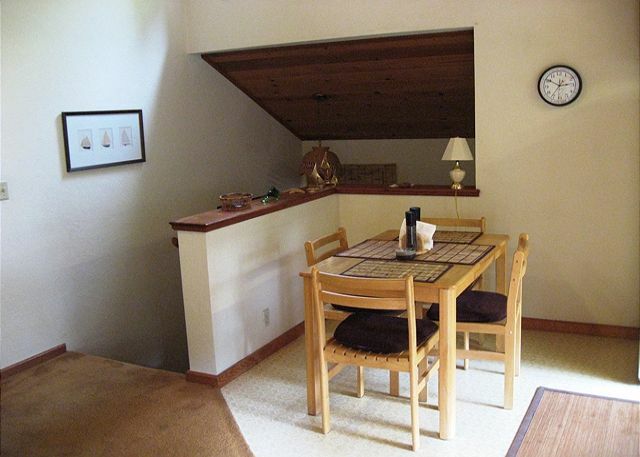 Great to hear that the Arcata Townhouse was well suited for you and your little ones! A beautiful location with a gorgeous view and everything you could possibly need to enjoy the property and your vacation. Highly recommend this property. Comfortable. Convenient. Gorgeous location. Plenty of room. Wonderful accommodations and amenities. Would definitely stay here again. Great to hear we matched you with the right house - Arcata Townhouse is very comfortable and glad it met all of your needs. This was a lovely place to stay. We were very pleased with this rental and plan to stay again. 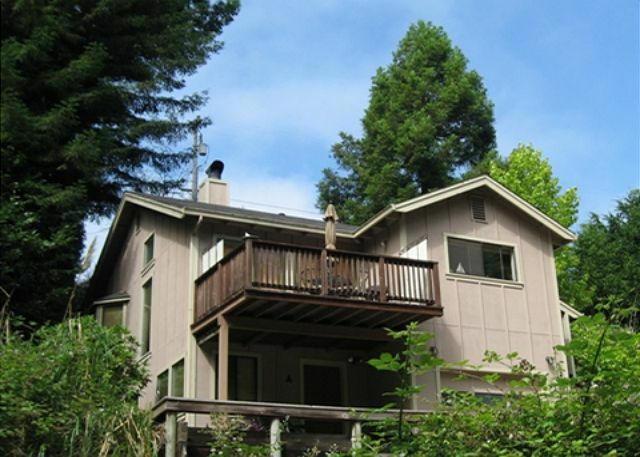 We are buying a vacation home of our own in the Arcata redwoods... we will DEFINITELY use your company to manage our vacation rentals! Thank you so much! REALLY nice to hear. Annual Bigfoot Disc Golf Tournament! Perfect weekend home for a group of golfers- which included the event's 1st place winner, Gregg Barsby. 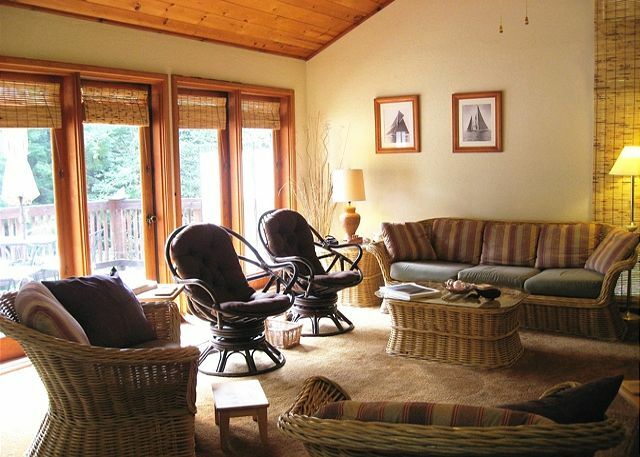 I highly recommend Redwood coast vacation Rentals for any kind of group event! Thank you! The Community Forest next to HSU is definitely a great venue for disc golf! Congrats to Gregg and all! Labor Day weekend, no plans for this anniversary couple, till we received a call from another anniversary couple inviting us to the coast, last minute. My thoughts, we'll never find a place. Redwood Vacation Rentals came through in a snap! Last place, last call. The price was right but I was so worried about the cleanliness of a last minute rental. It was a lovely waste of a worry! Talk about spotless, I don't say that lightly. Did I mention spotless? Delicious berries! Great Limo in the area.The Arcata Townhouse was a perfect last minute get away, two very happy and comfortable anniversary couples. We still need to send a gratuity for the cleaning lady or fella. Thank You Coastal Vacations. We will be booking another home for next year!!!!!!! Clean, spacious, and very comfortable. Thank you. Really great property and a pleasure working with Mike and Heather with Redwood Coast Vacation Rentals.